Papergreat: Postcrossing card from Pushkino: "hear the croaking of the frogs"
Postcrossing card from Pushkino: "hear the croaking of the frogs"
Here is the final entry of this week's series on the postcards I've received from around the globe through Postcrossing. Message: "Hello Chris! My name is Katya and I live in Pushkino. Pushkino it is little town next to Moscow. Here cozy, quiet and calm compared to Moscow. My house is near the river and in the summer hear the croaking of frogs. I love fairy tale. Alice in the wonderland my favorite fairy tale. With Best wishes." It sounds like a wonderful place to live! Pushkino is a very common name for towns and villages in Russia. Perhaps it is like Greenville or Springfield in the United States. Just within the Moscow Oblast, there are seven locations named Pushkino, according to Wikipedia. So I don't know for sure which one is the bucolic location featuring Katya's river and croaking frogs. The postcard illustration is by Russian artist Elena Bazanova. 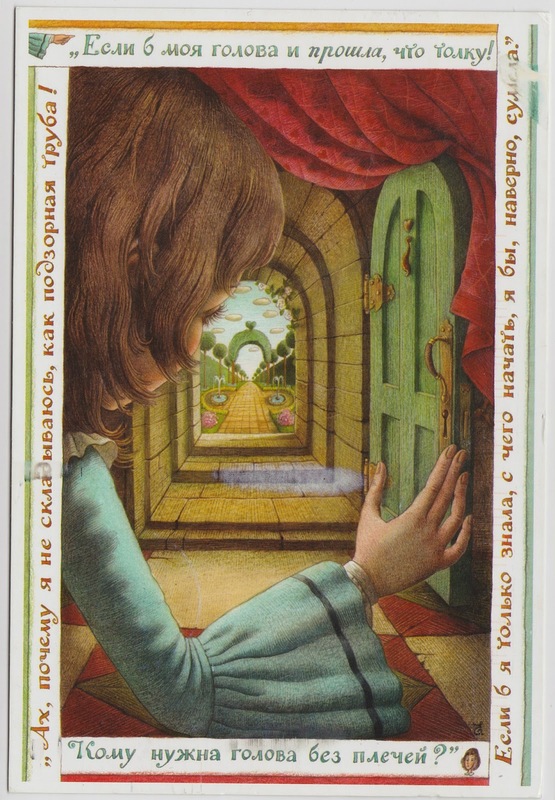 You can see more of her fabulous illustrations from "Alice's Adventures in Wonderland" here. 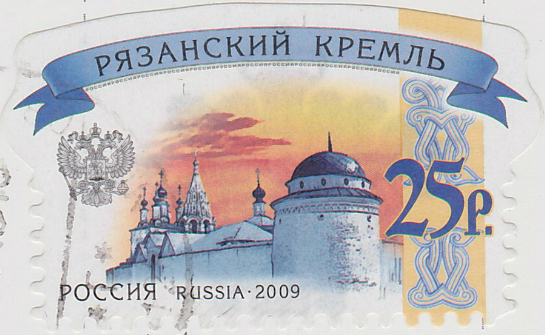 Finally, Katya's postcard features the Russian Ryazan Kremlin stamp, which was issued on October 1, 2009.